From stuck on a junk pile to chasing butterflies and playing with a new sister, Checkers is living THE life! 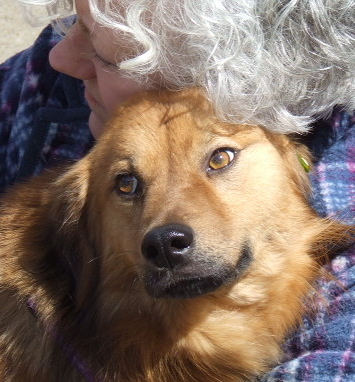 A few months ago, Kim Fike graciously saved a dog named Bandit from his life on a chain in a lot full of junk. 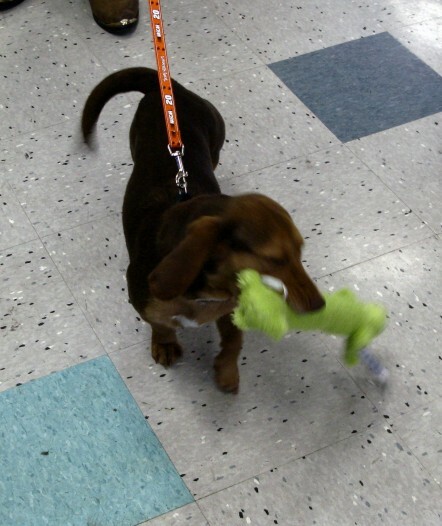 He didn’t seem to be guarding it … he was only 8-10 months old and was very mild-mannered. 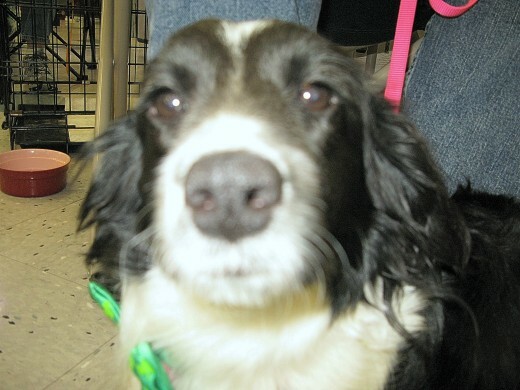 We found this fabulous Border Collie, English Springer Spaniel posted on Craigs List as Checkers. 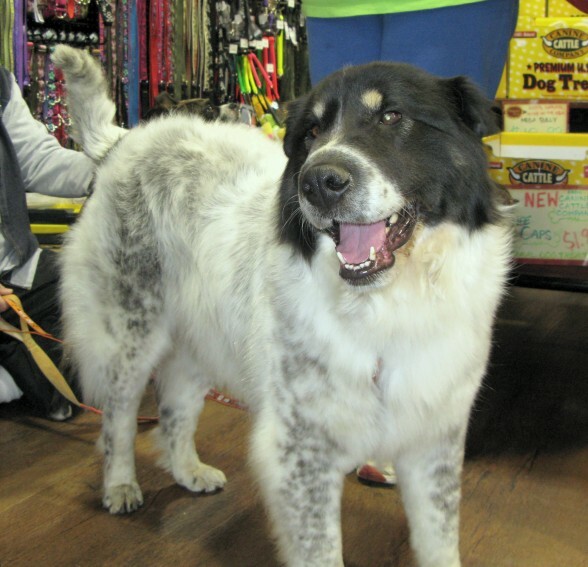 Shortly after Real Good Dog Rescue got involved and posted this young boy, Jesse Taylor saw him and knew he needed to give this fabulous dog his forever home. 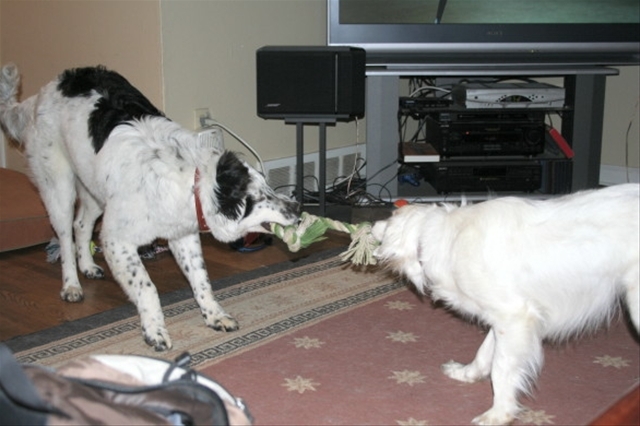 These pics show Checkers, now called Takoda, playing with his new sister Tallulah, formerly Barbie, who was also adopted from Real Good Dog Rescue! So, whether or not you’re able to keep up with the name changes (Bandit to Checkers to Takoda and Barbie to Tallulah), you can certainly agree that these two dogs are having a great time with dad, Jesse. 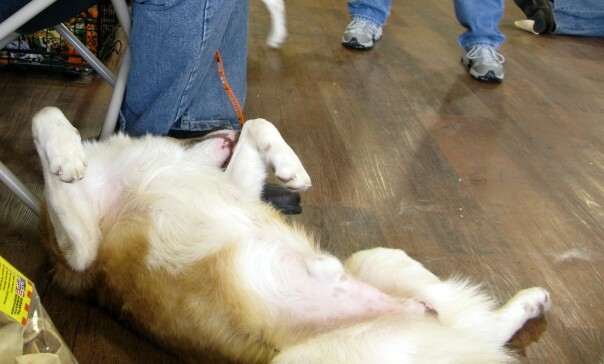 If it’s another weekend day, Real Good Dog Rescue’s Dogs and Puppies are Mingling with the Public! 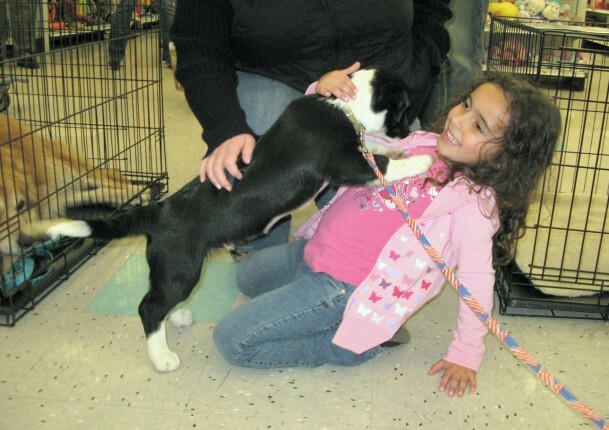 Whew … Real Good Dog Rescue had its final adoption event of the weekend on Sunday. We were at the Master Gardeners’ Spring Fling from 8a-4p on Friday and Saturday. 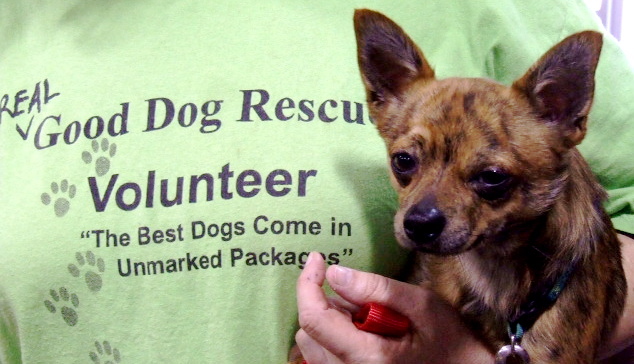 Then on Sunday we were invited to Bartlett Hollywood Feed for an adoption event. 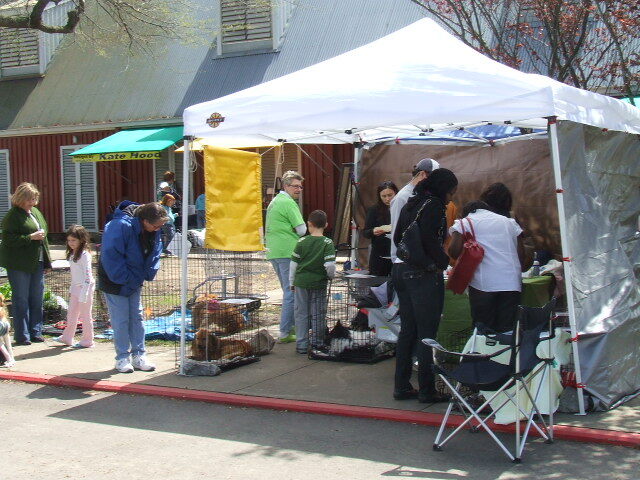 People were there to see our great dogs and puppies even before the doors to the store were open! 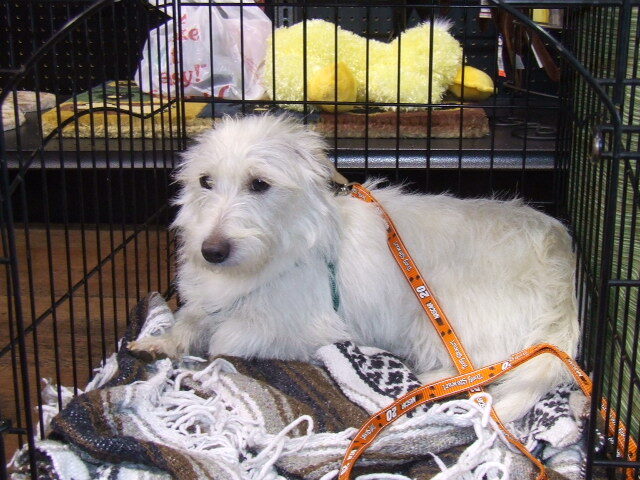 Harry, our Shetland Sheepdog Sheltie mix puppy, was adopted by a great family. 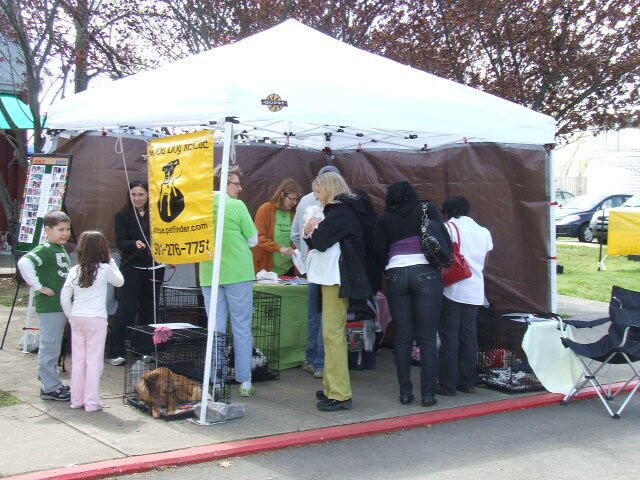 Lots of other folks came by to pet the dogs and puppies, give them some love, and fill out applications for adoptions. 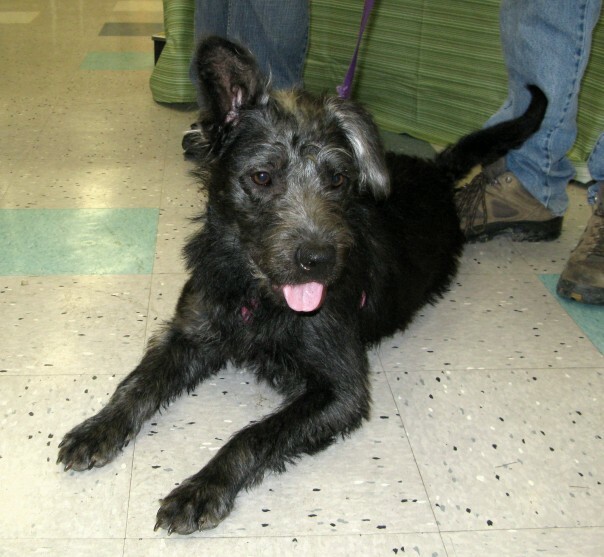 If you’re looking for a great puppy or dog, come visit us at our next adoption event this coming Saturday, April 4, from 11am-3pm, at Hollywood Feed, 2013 Union Avenue, Memphis. Harry and his adoptive family. Charlie observes the goings-on at the event. 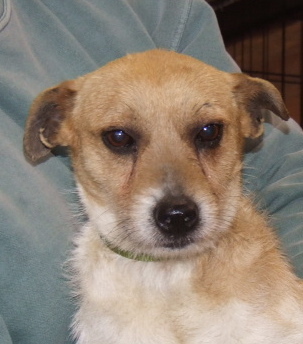 Charlie is a calm and loving young dog. Kramer and friend stop playing long enough to pose for a pic. Belle’s enjoying the attention being heaped on her by these visitors. Charlie enjoys going in his crate. Kramer thanks his new friend for all her love and attention. 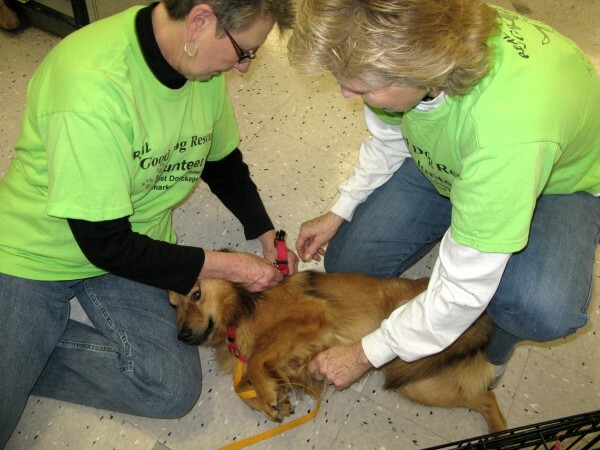 Master Gardeners’ Spring Fling Scores on Adoptions! 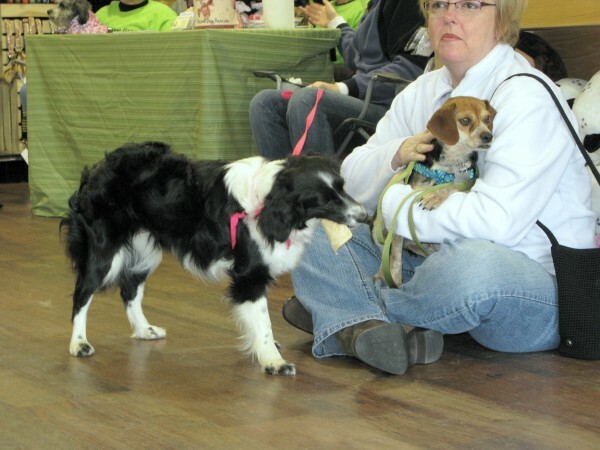 Well, yesterday’s event at the Master Gardeners’ Spring Fling at the Agricenter’s Big Red Barn was a fabulous day. We had some fun when some of the scattered storms came thru, but had smartly brought tarps and tarp holders so our dogs (and volunteers) would stay dry. 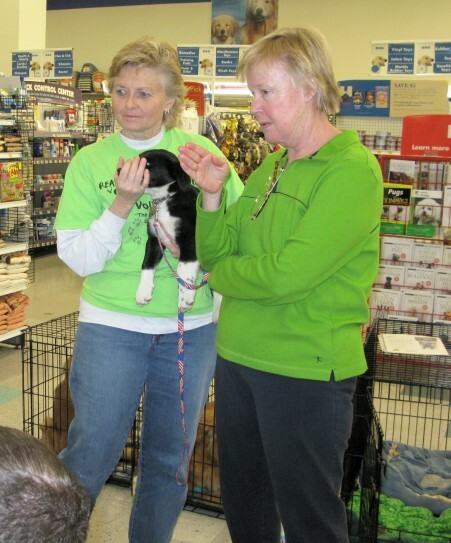 We’ve got to say, we were ecstatic about the adoptions we got at this event. 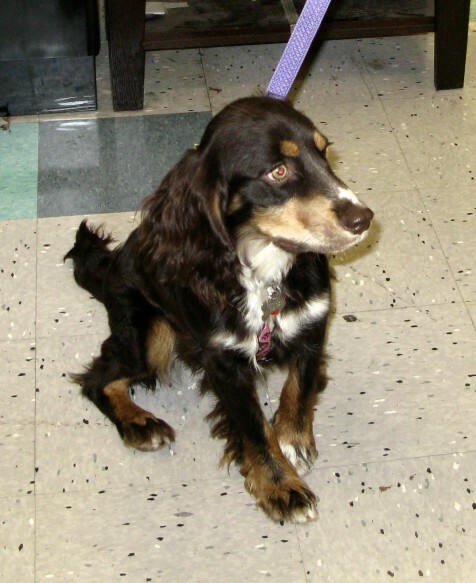 On Friday, Indy went to her forever home. 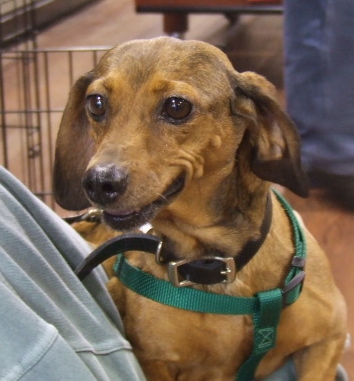 On Saturday, Chloe, Simone, Ebony, Georgia, Alfie, Macy, Widget, and Duffy/Frankie were adopted. Unfortunately, technology failed us. 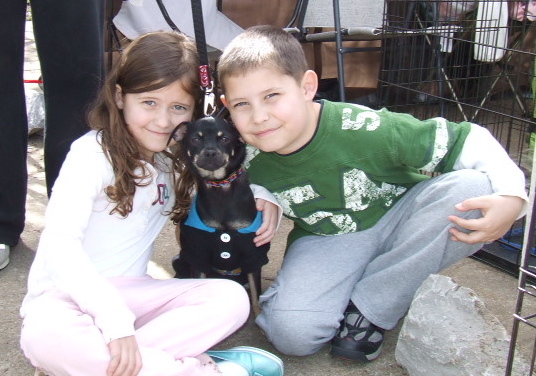 We had some great photos of our adopters, the event, and the many folks who stopped by to pet our dogs and puppies. But we got a “memory card failure” as we were taking some final photos. No matter what we’ve tried to do to recover the images, they seem to be gone. Sigh. Thankfully one of our other volunteers came by part-way thru the event and was able to take some fab photos. We are hoping to be invited back to this event next year, for the 6th annual Master Gardeners’ Spring Fling! 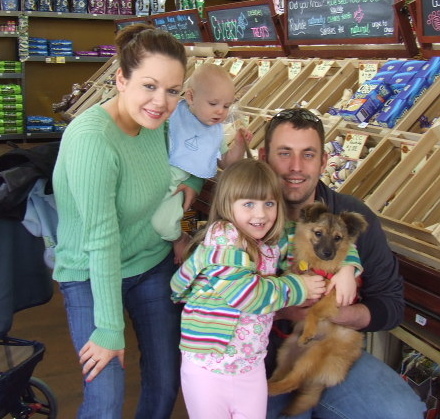 Macy was adopted by a great family – she looks VERY happy! 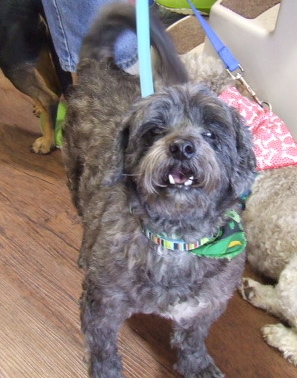 Senior Widget was adopted by this great lady who had another senior dog (see on the ground holding her own lead)! 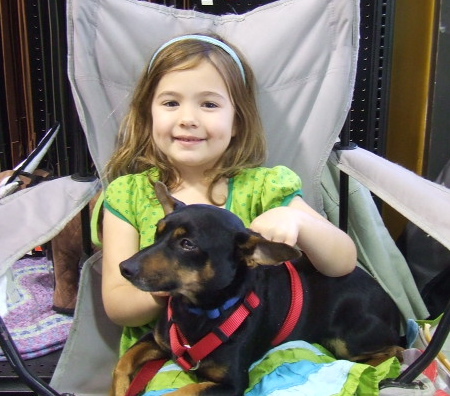 Lots of folks stopped by our tent and we really appreciated those visits – as did our dogs! 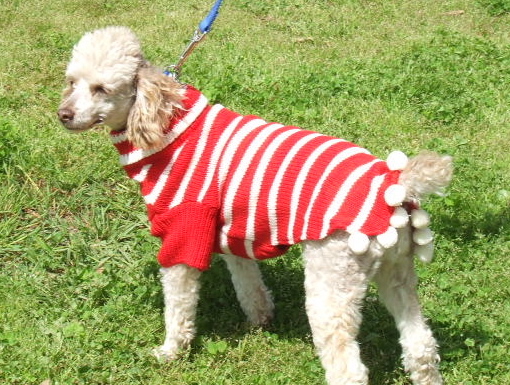 Chaz stayed warm in his red and white sweater – it was chilly out there! 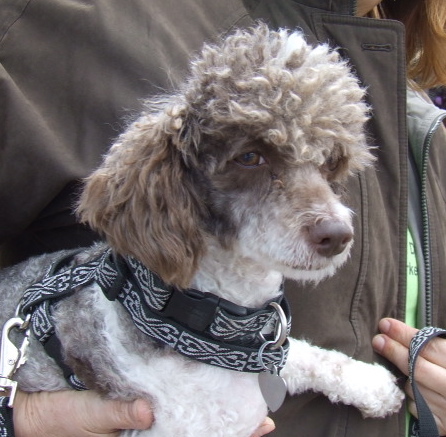 Doodle the poodle is a cute little guy who’s looking for his special home. Pretty Boy is SUCH a sweet soul. You can see our tent sides done with our tarps. Worked well for those rainy spurts. Sarge (on left) and Pretty Boy (on right) love the attention they received. 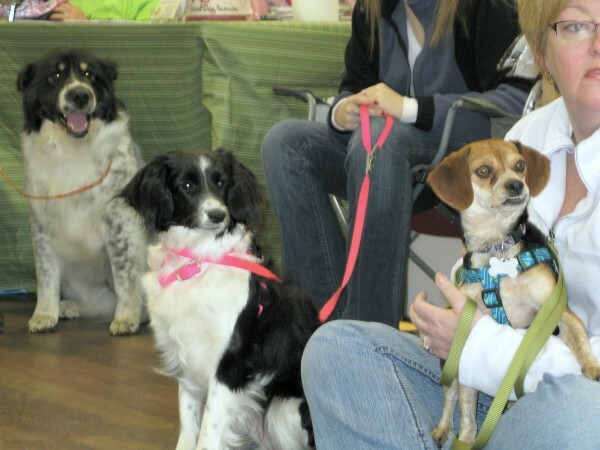 Real Good Dog Rescue is at the Master Gardeners’ Spring Fling event with several of our great dogs and puppies. On Friday we had a couple of possible adoptions and we look forward to seeing more people and having more adoptions today! Come join us at the Agricenter’s Big Red Barn from 9am-4pm today. If you can’t join us today, we’re at Bartlett Hollywood Feed tomorrow, Sunday, March 29 from 1pm-4pm, 6722 Summer Avenue (Highway 70), the corner of Whitten Road & Summer Avenue. 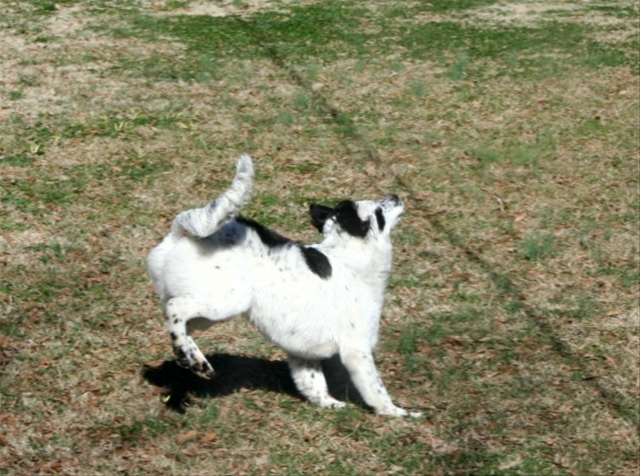 Spring has sprung and our dogs and puppies are excited! Today was a slow day at Hollywood Feed on Union Avenue in Memphis. 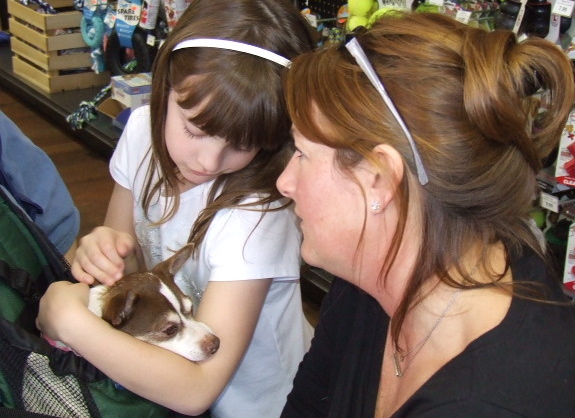 We had a lot of folks stop by and play with our cute dogs and puppies, but no firm adoptions. Might have had something to do with the fact that the Memphis Tigers were playing basketball … in an attempt to go to the Sweet Sixteen. 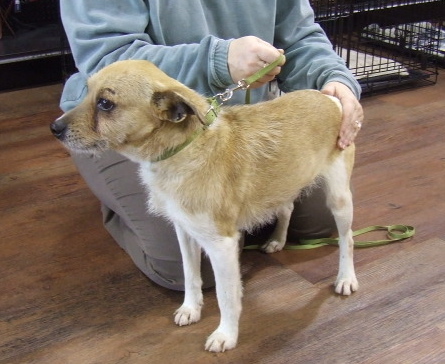 We were pleased that some people talked with us about fostering dogs. Having more foster homes is important, as that means we can rescue more from a most certain death at the Memphis Animal Shelter. 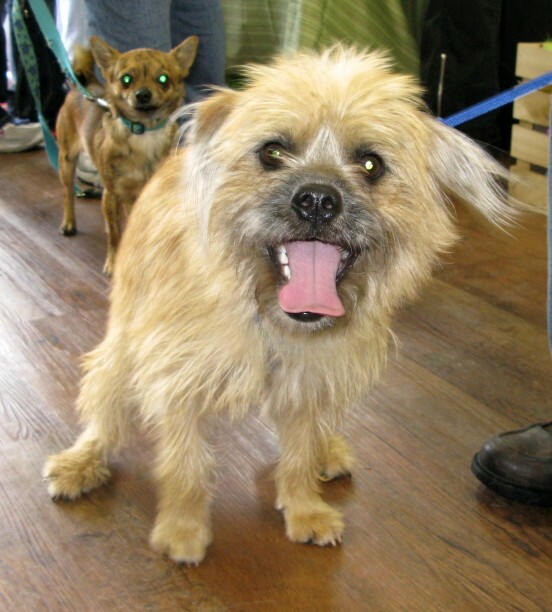 We had some new faces with us today – like Simone, Mr. Scruff, Babs, and Kramer. 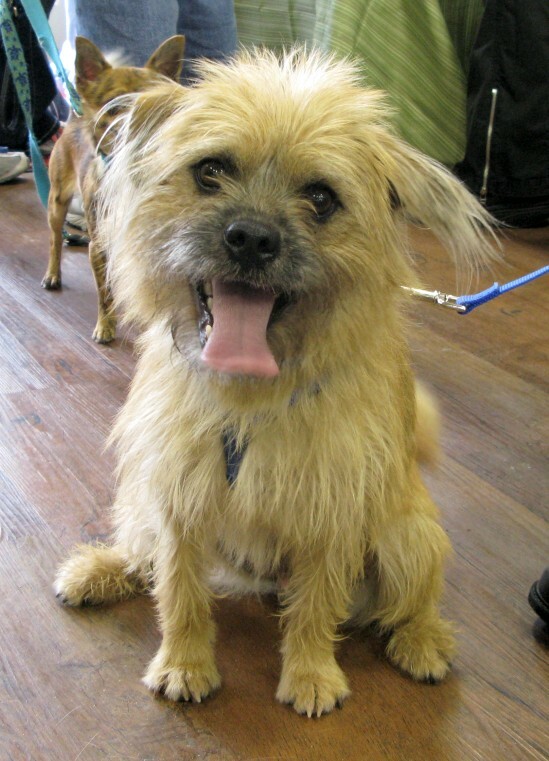 Keep up with all our adoptable dogs and puppies here. Here are some candid shots of today’s event. If you were there, you might even spy yourself in some of the shots! 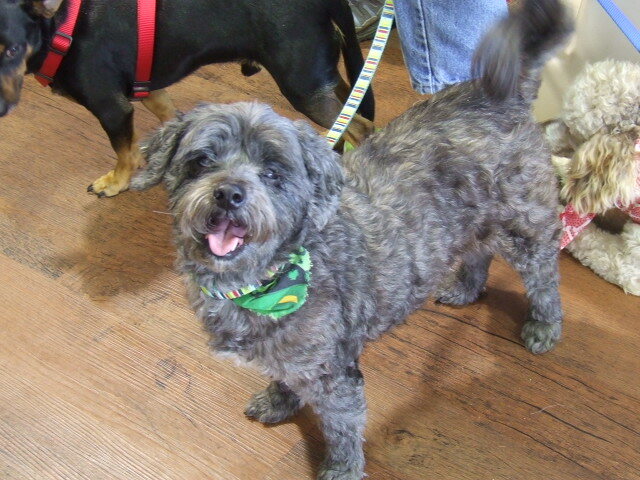 Mr. Scruff is a new dog for us – he’s cute! 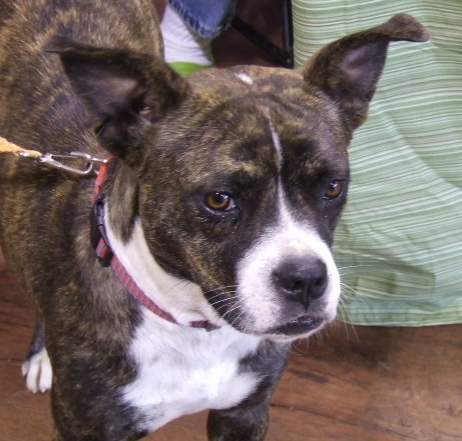 Our Boston Terrier, Boxer Mix, Betsy, is lovely. Don’t you agree? 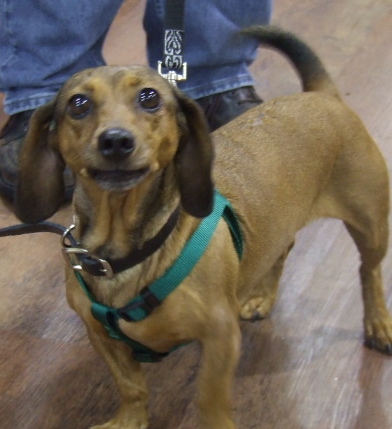 Simone is a new adoptable dog – looks to be a pure-bred Dachshund. 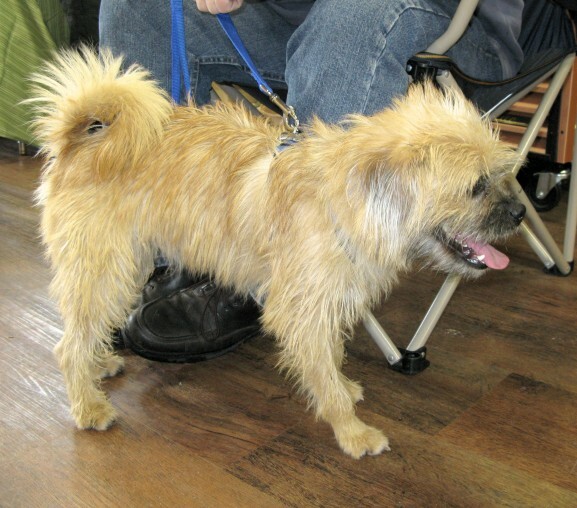 Kramer is a cutie – love the hair sticking out in this shot! Sarge shows how relaxing is “done” as far as he is concerned! Good Dog Rescue volunteers, Cindy & Jerry Russell, spent part of this afternoon with 7th and 8th graders in Michal Almalem’s class. 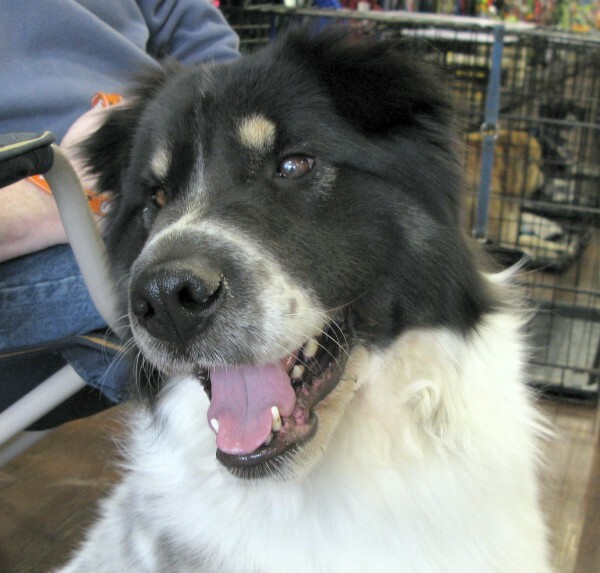 We talked with them about our great dogs and puppies, how they could get involved in helping advance causes of importance to animals, and about the do’s and don’ts of being with dogs. 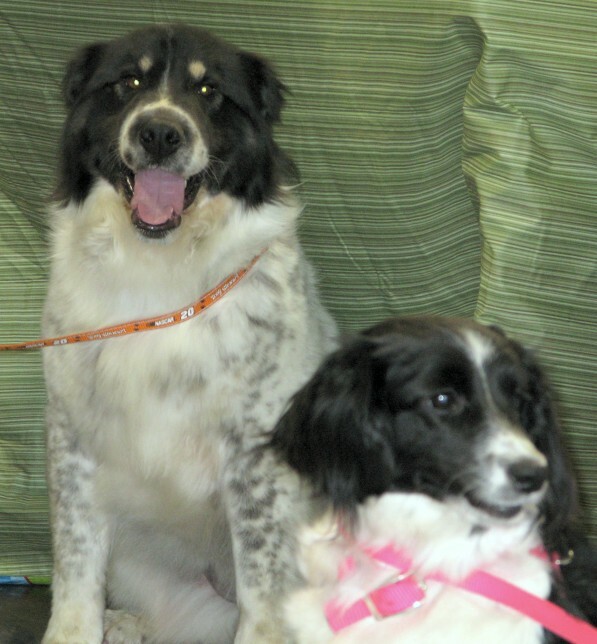 Of course, it was a really fun topic and we couldn’t really go wrong, as we brought with us Lindsey (adoptable Australian Shepherd/Spitz mix) and Jessie Wiggles (adopted Shetland Sheepdog/Sheltie mix). 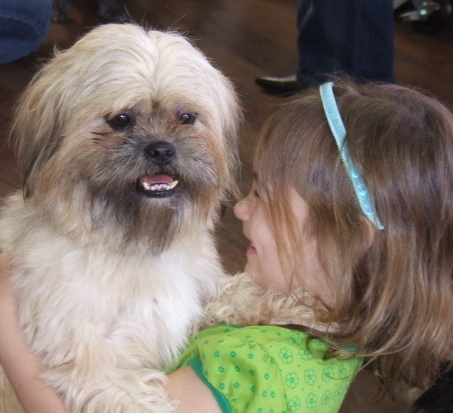 Dogs and kids do well together. The dogs really tell their own stories! We created a couple of things for today’s session and you might enjoy having a look at them. 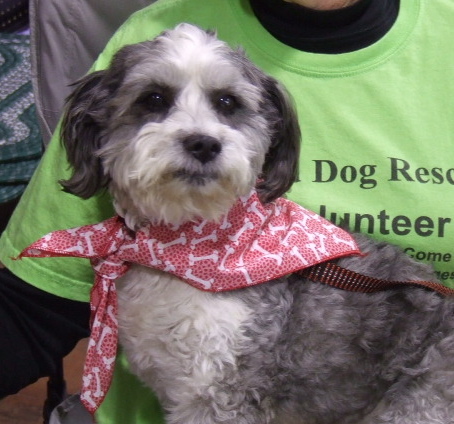 Good Dog Rescue volunteers are happy to come to schools and other gatherings of people to talk about a variety of issues – humane care, rescue/volunteer work, animals in research, and other topics. Send any requests to the blog mistress and she’ll get back with you! Nice weather brings people and doggies out of their shell! 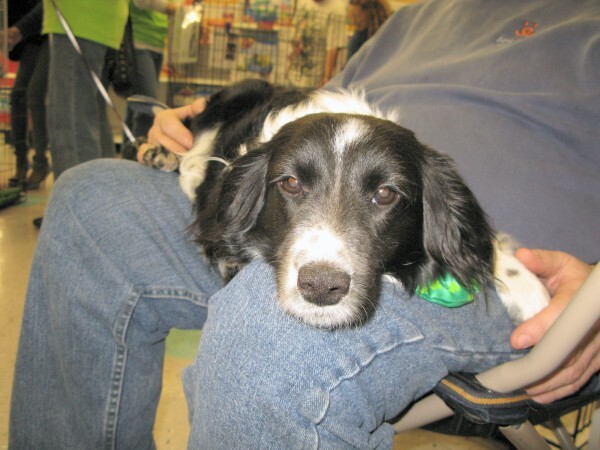 We had a great day at Poplar Plaza Petco today, where 3 of our great dogs were adopted. 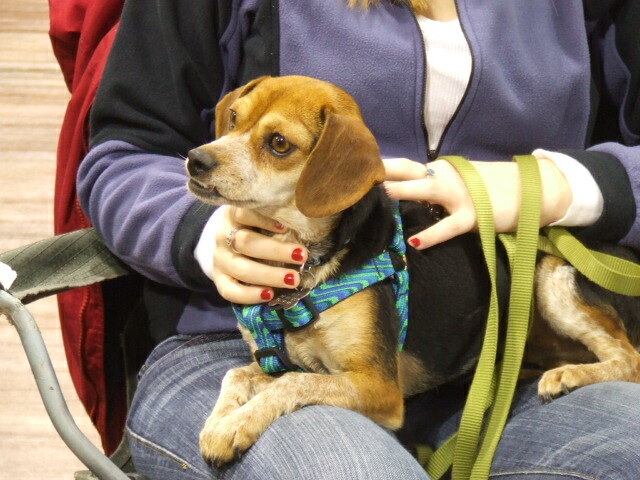 Amy, Lucy Red, and Bailey went to their forever homes. 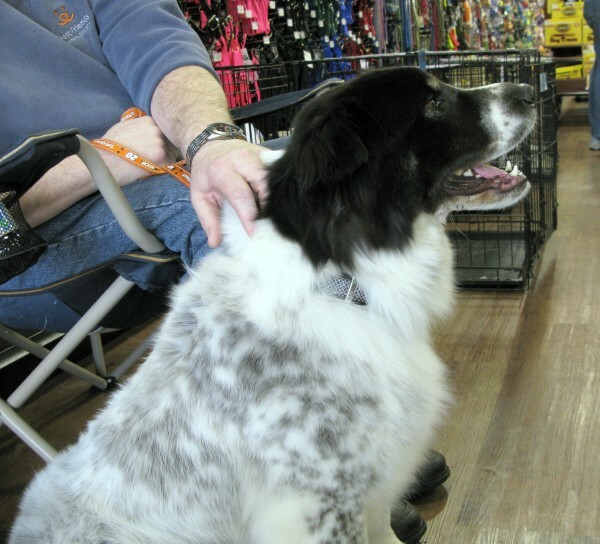 We had a lot of interest on several of our other dogs and puppies as well. 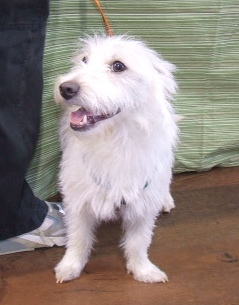 We would love for you to join us at next week’s adoption event: Saturday, March 21, 2009 from 11am to 3pm at the Union Avenue Hollywood Feed Store, located at 2013 Union Avenue. 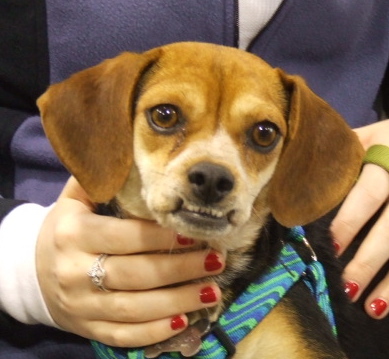 Here are some adoption and candid shots from today’s event. Hope to see YOU in our camera lens in the near future! 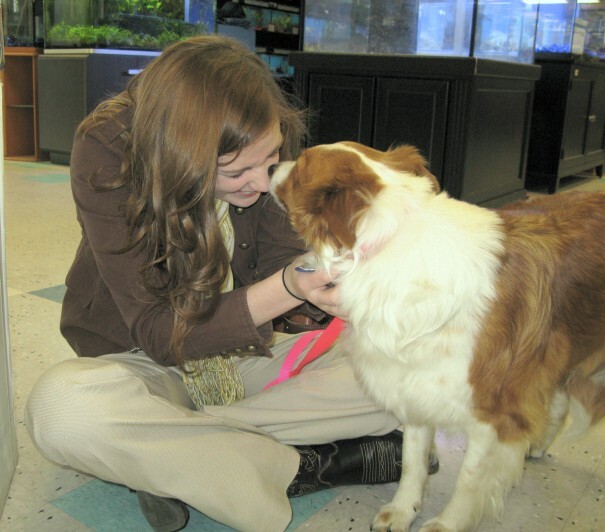 Savannah Kenney adopts our lovely Amy. 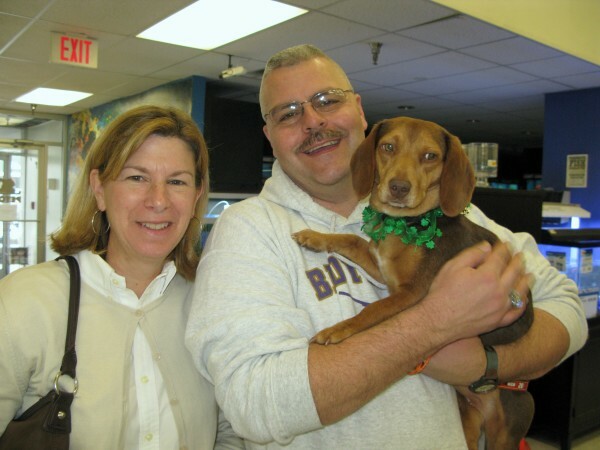 Lucy Red gets adopted by Malcolm and Louise Clark. 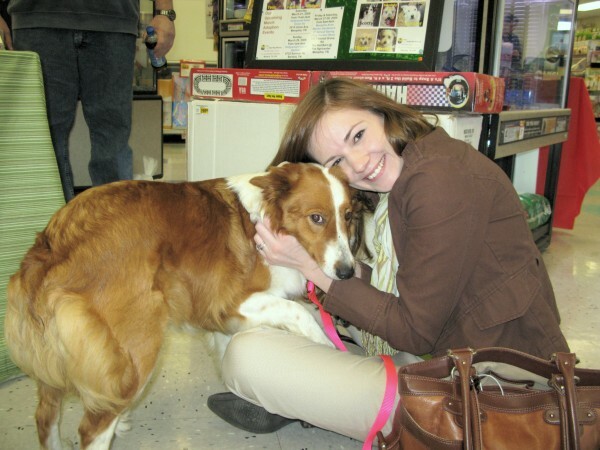 Amy already loves Savannah, her new mom. The Clarks are already letting Lucy Red have whatever she wants! 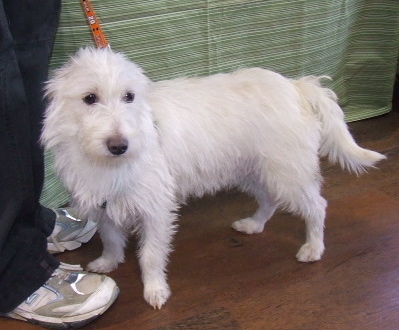 Layla is one of our cute young dogs. Amber watches as the rest of the dogs act silly. How many volunteers does it take to put a harness on Pretty Boy? One of our calmest dogs! 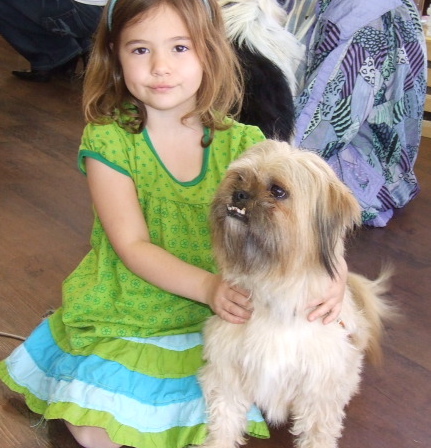 Alfie, the bassador, loves this little girl! Volunteers Julie and Cheryl ponder some of the goings-on. 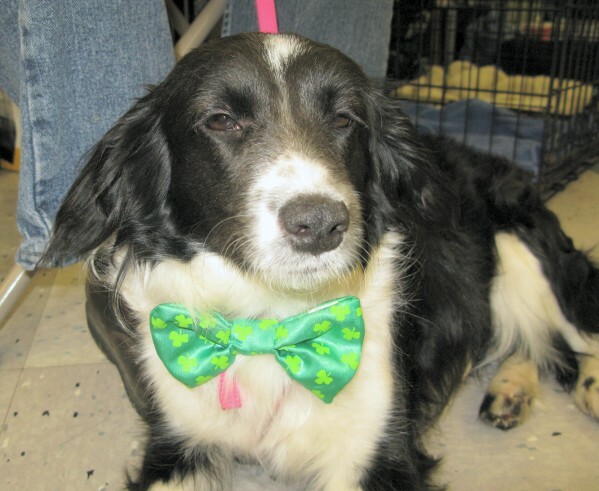 Indy decked out for St. Patrick’s day. It was a V-E-R-Y relaxing day for Indy.